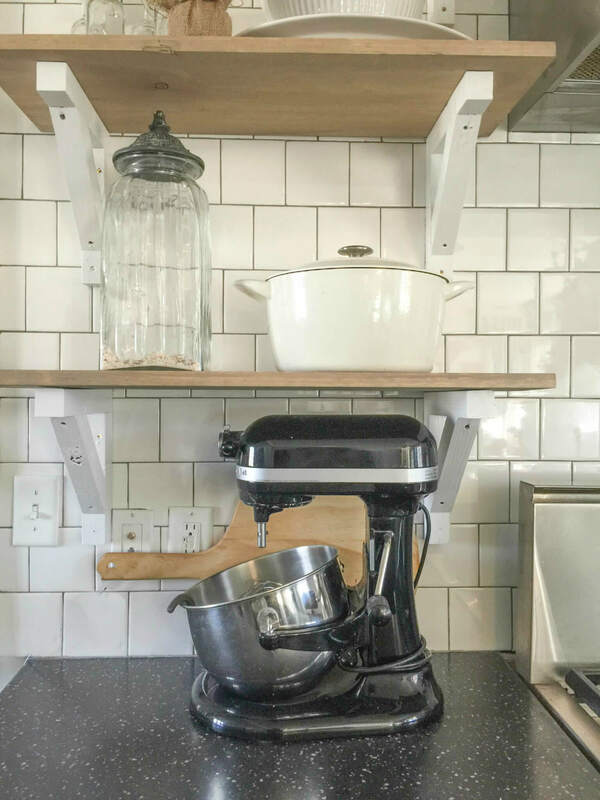 When you are working on DIY projects, you can make everything exactly to your plans. A few months ago, I came across a gold mine! Or a weathered wood mine. I had sadly run out of my coveted weathered wood that had been sitting out on the side of my house. Too many projects, not enough wood! So, I was in a quandary. I have found many premixed, or commercial stains or treatments that create a nice effect, but most look a little fake or don’t have enough dimension. 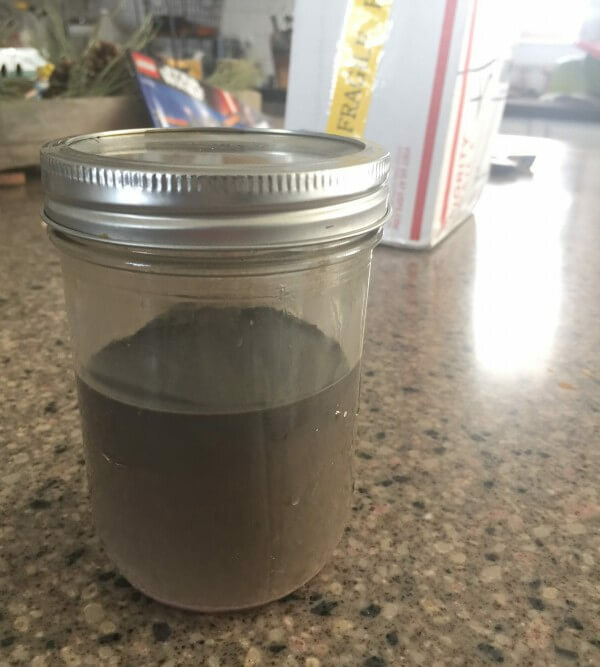 I was working on some projects that all required using new wood, but I didn’t want that new wood look, I was stuck at home, and had no other weathered wood paint treatment kits, and needed to figure something out. 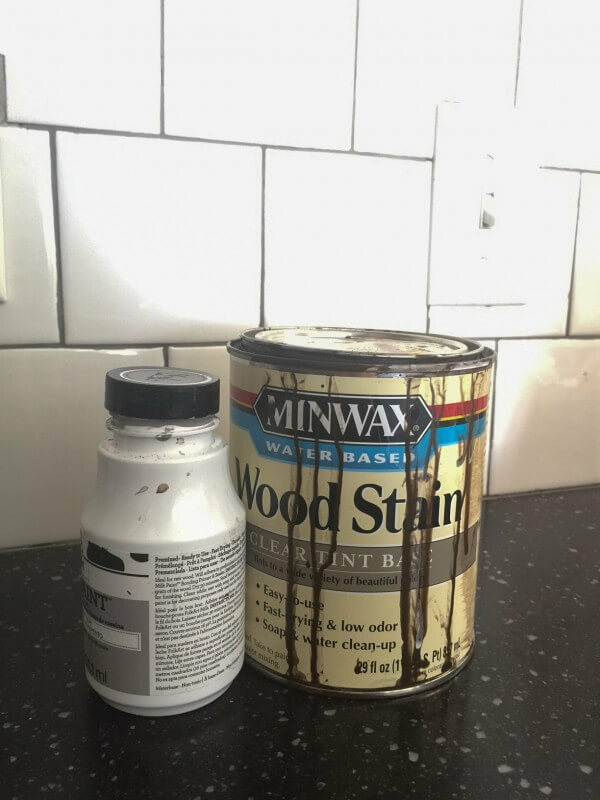 I searched through my collection of paint and stains and came across this American Walnut water based stain I had recently purchased from Home Depot. It was a nice dark brown, rich color. It was really nice, but not exactly what I was looking for. Plus applying this directly on the wood was was too thick and dark. Then I saw a small bottle of grey chalk paint. This was a light grey not a dark grey. I had an idea. I stored this weathered wood stain in an old jelly jar, or mason jar. It will last long enough for you to use it on all your DIY projects. You can apply this with a brush, a sponge brush or a rag. Use it on any type of wood. This weathered wood stain will completely transform your pieces. The secret is you can apply layers, and the color gets more rich, while not overtaking the wood. You can seal this with a poly-acrylic if desired, or leave it as is. Totally up to you. This weathered wood stain is my most favorite discovery so far. It creates the perfect greige wood color. and…..its worked perfect every time! So, new wood be damned. 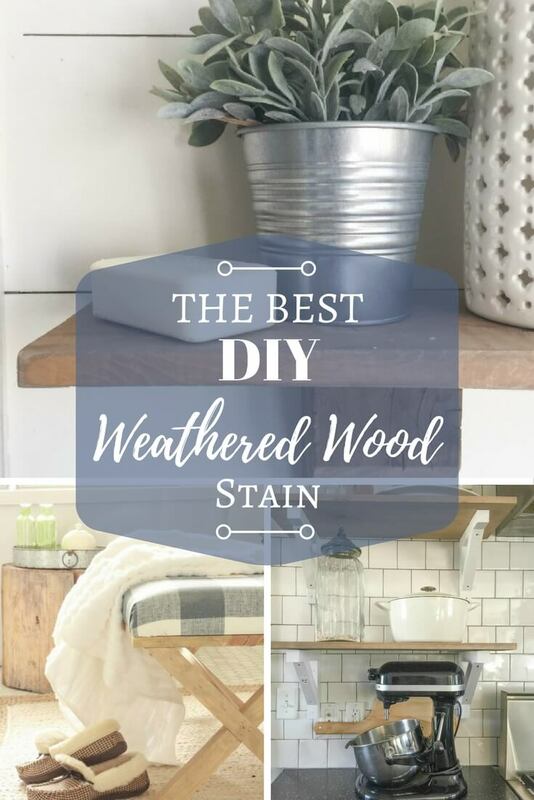 If you are looking for a great DIY weathered wood stain or wash to treat some of your projects, try this out! 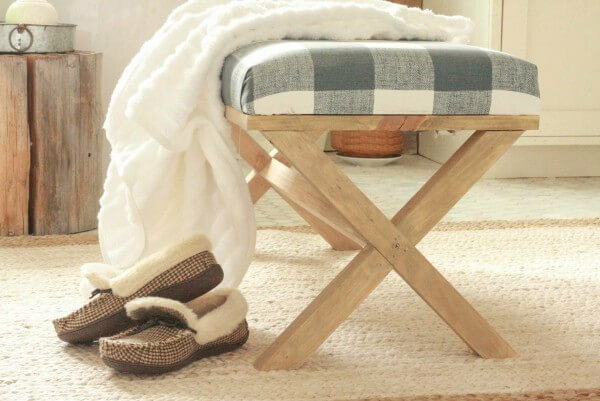 It tones down the natural look of new wood, while leaving the grain, and character of it. It has a slight grey look in places from the paint, but has a rich tone from the stain. I like mine to be really watered down. Then I can control the saturation of the wood. I can always add more, but it is really hard to take away! Bang up that new wood with a hammer or a chain to add a few dents and dings. Then once you add the DIY weathered wood stain, it will settle into some of those recesses and add a little bit more character. You can also use any dark water based stain, as long as it does not have a red tone to it. I’ve used this on a variety of wood species and it has always turned out perfect. 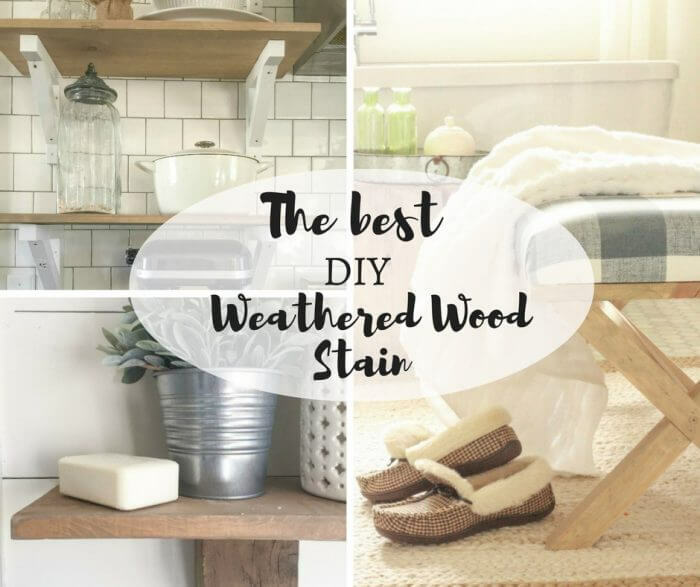 This is the best DIY weathered wood stain ever! 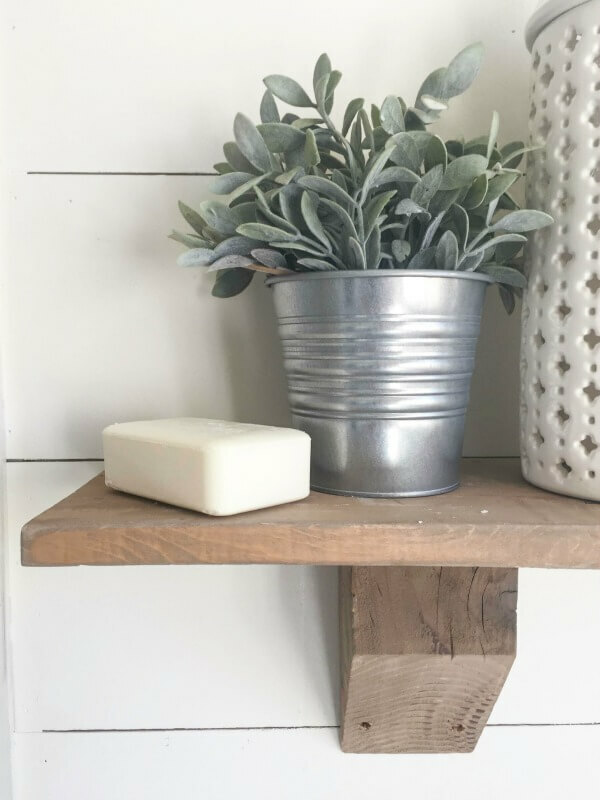 Pin this DIY weathered wood stain now! Save it for later! I love the color of the stained wood but not sure how you got that color with just a clear water based stain, grey paint and water. What color brown did you tint the clear stain with? I use American Walnut Water Based Stain, which I stated in the post. Hope that helps!